Set of 7 templates. 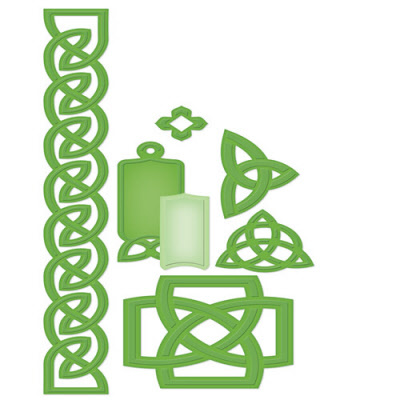 The beauty of the Celtic knot designs are reflected in this set. Each piece has one type of knot design or is designed to compliment another piece in the set. Go beyond this set to its sister set S5-163 Celtic Motifs and layer to create a wonderful accent. Spellbinders Shapeabilities® die cut, embosses and stencil with a single die template.